The new year offers a new start. Even if you filed for personal bankruptcy in 2012 or you are planning to, things will get better. Here are some things you can work on in the new year to help you recover from personal bankruptcy easier in 2013. January is actually a really good time to file for personal bankruptcy. Between tax planning and the Fiscal Cliff, January is very attractive to people to find a way to get out of debt through your bankruptcy. There can many reasons why you feel the need to file for bankruptcy: medical bills, divorce, an expected death in your family or just plain overspending. When you feel like you are in a deep financial hole, it may be time to file for bankruptcy. It is possible that you overspent over the holidays, traveling to see your relatives or you decided to host a big holiday party. The Fiscal Cliff is also another interesting thing to consider with filing for bankruptcy. Higher taxes and fewer government programs means you may be facing financial difficulties that you never had to experience in your life before. You should also consider your tax refund considerations. Before you receive your tax refund, you should know that creditors consider the refund as an asset. Before you file for bankruptcy, you should consult Leslie Williams Law to decide if bankruptcy is right for you in 2013. There are many individual circumstances that should be considered first. Nobody wants to go through the unfortunate turn to bankruptcy. However, knowing that it can be a do over to your finances, it can also be something that is a benefit. Having a good lawyer, and great plans, it could be the solution to many problems. It's never an easy decision when considering filing for bankruptcy. Make sure that you make an informed decision. I didn't realize it was a good time to file for bankruptcy, this could really help people in the new year. I always try to know what I am going to do with my tax refund. If I don't have a plan, I usually waste it. Bankruptcy, is an unfortunate circumstance. Making this decision can be tough, but I've seen people really make the best of the situation. The more information you can have the better. 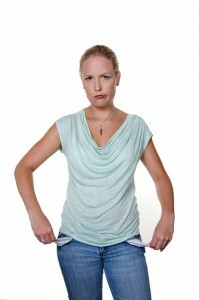 Knowing when to file for bankruptcy is difficult, thanks for the insight into this! Thanks for sharing this information on personal bankruptcy! It's a very tough decision to make to file, but good to know there are people like you out there ready to help! You are helping so many people face this issue. Thank you.